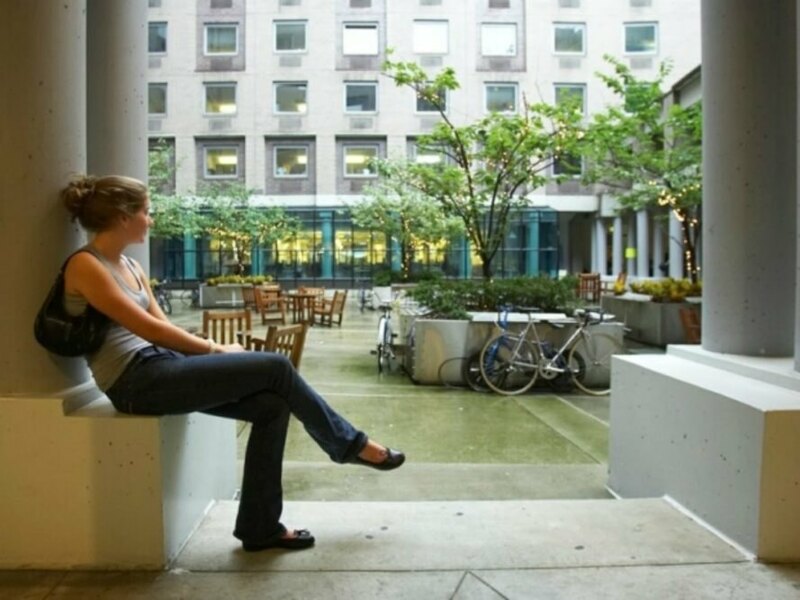 Many New York University students pay approximately $14,000 a year to live on campus, but they may soon have a cheaper alternative. The private university is starting a pilot “home stay” program that would see selected students living in the spare rooms of local senior citizens, saving money and learning from their life-experienced roomies at the same time. The first “home stay” program will begin with 10 juniors, seniors or grad students that will bunk with local elderly people on the Lower East Side. According to the Post, NYU will implement the program with help from the non-profit organization University Settlement, which provides social services to low-income seniors in the area. The setup will not only help to reduce the students’ housing bill but will also give the participating senior citizens more monthly income. Living on the NYU campus runs approximately $14,000 a year, but now it looks like students may be offered a cheaper alternative thanks to a new "home stay" program. NYU is starting a pilot “home stay” program that would see students living in the spare rooms of local senior citizens, saving money and learning from their more-experienced roomies at the same time.